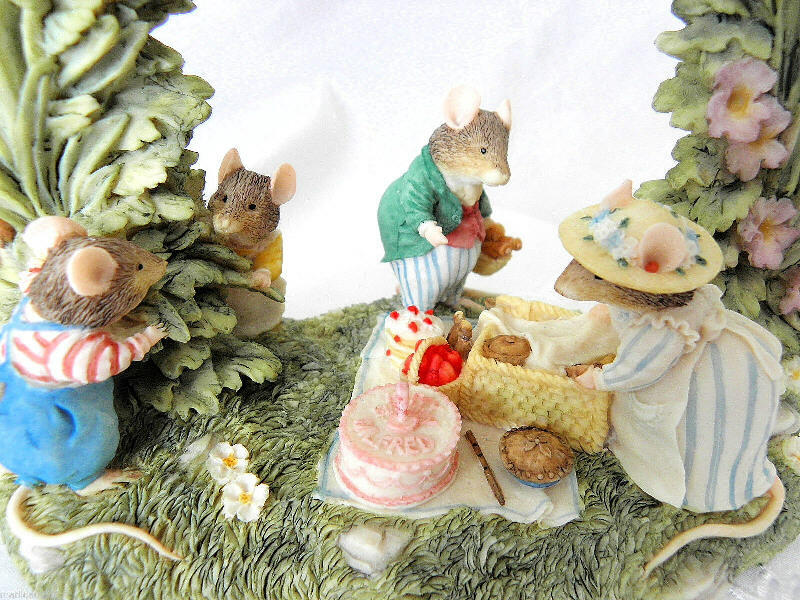 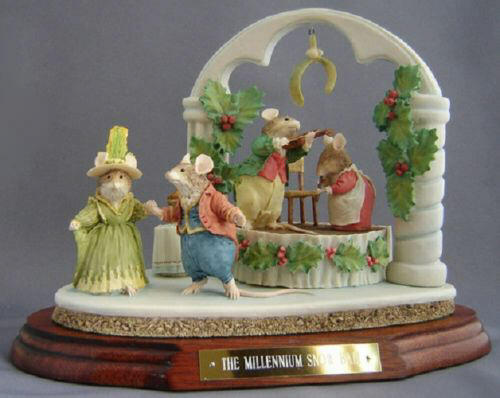 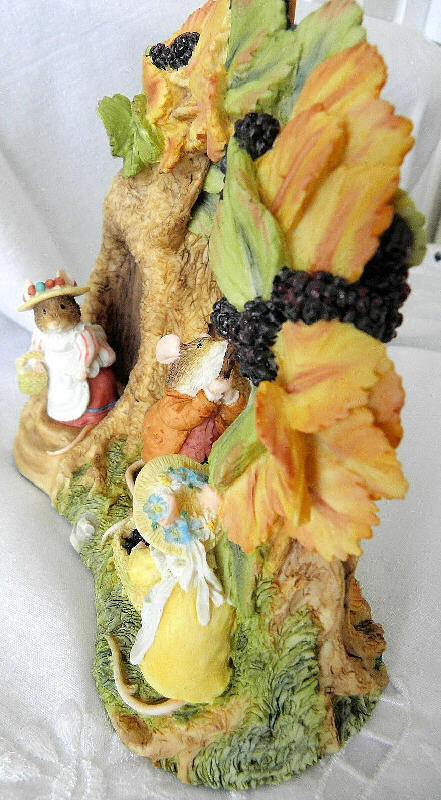 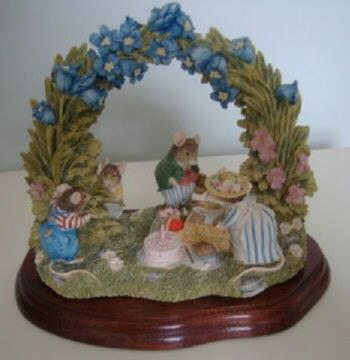 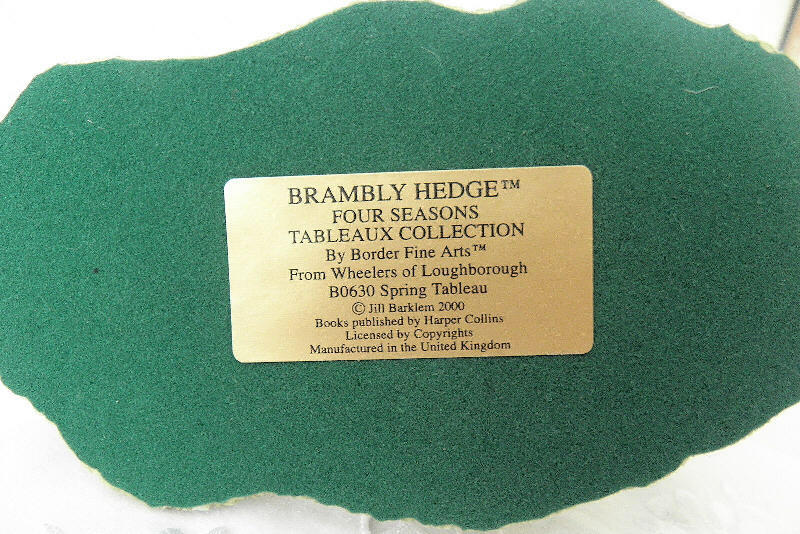 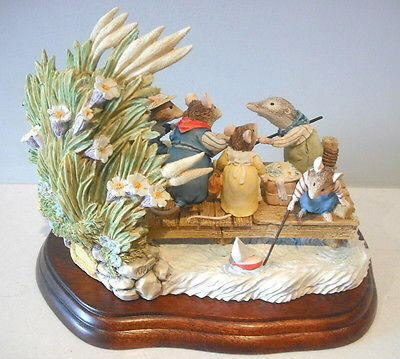 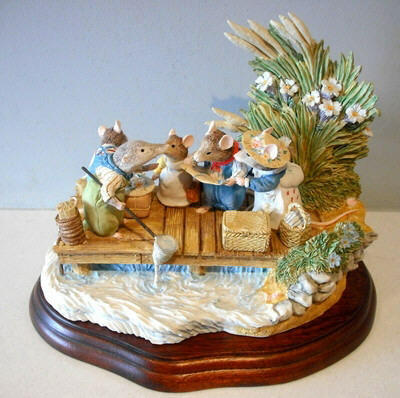 “Sea Story” tableau is a part of the Brambly Hedge Special Occasions Collection commissioned by “Wheelers of Loughborough”. 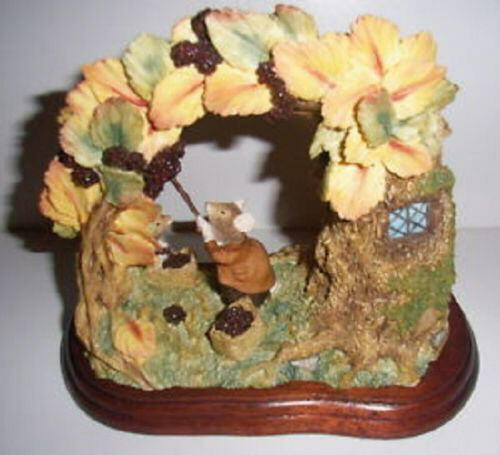 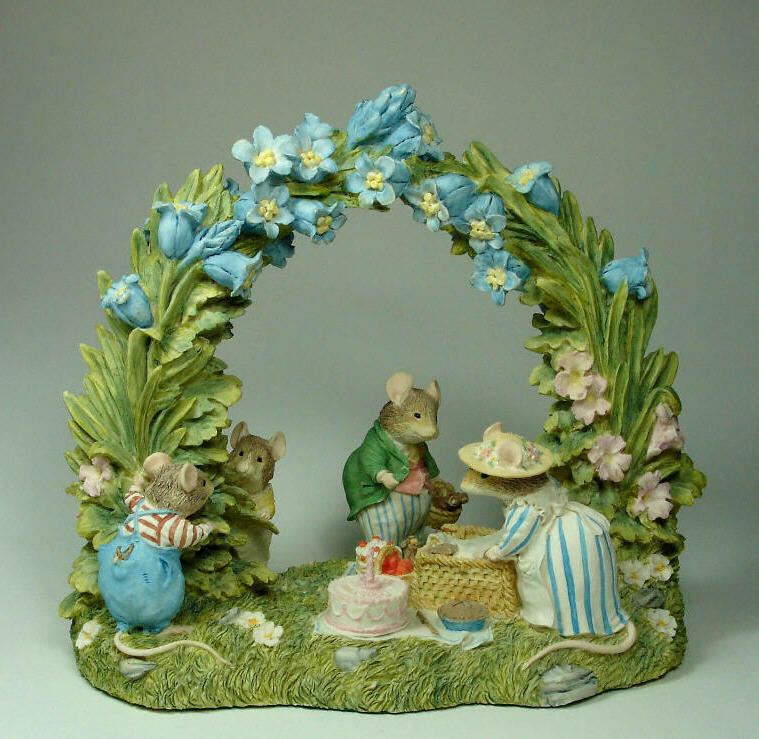 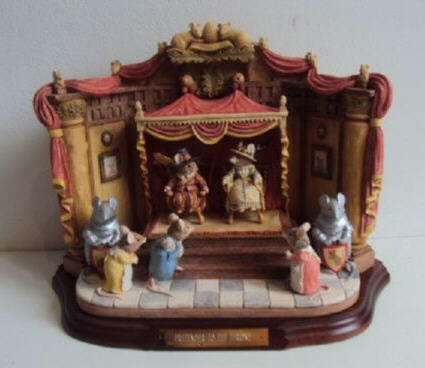 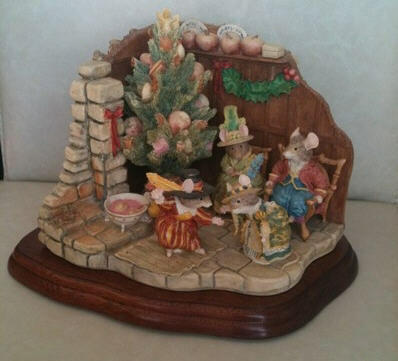 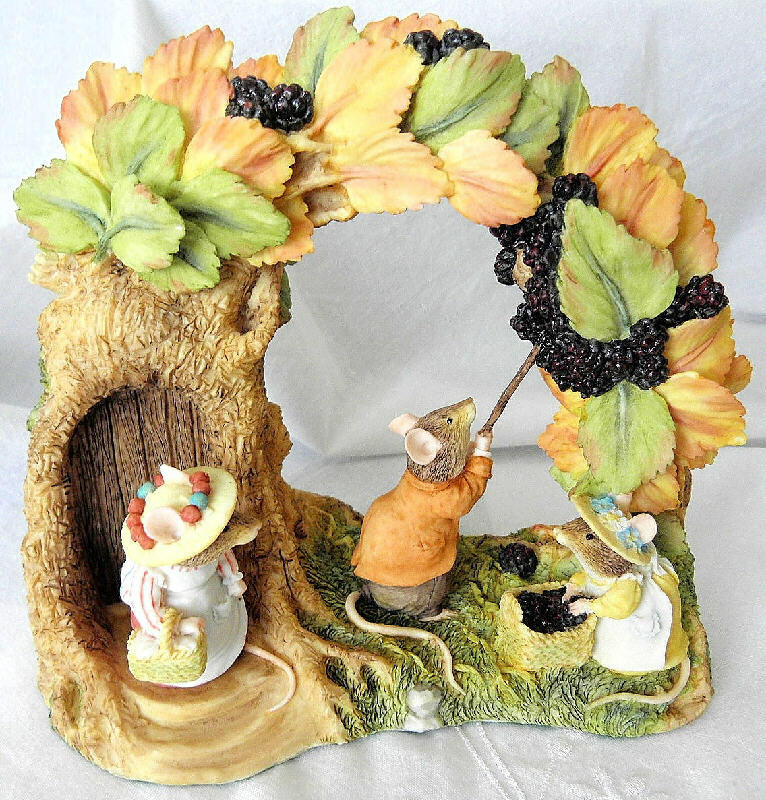 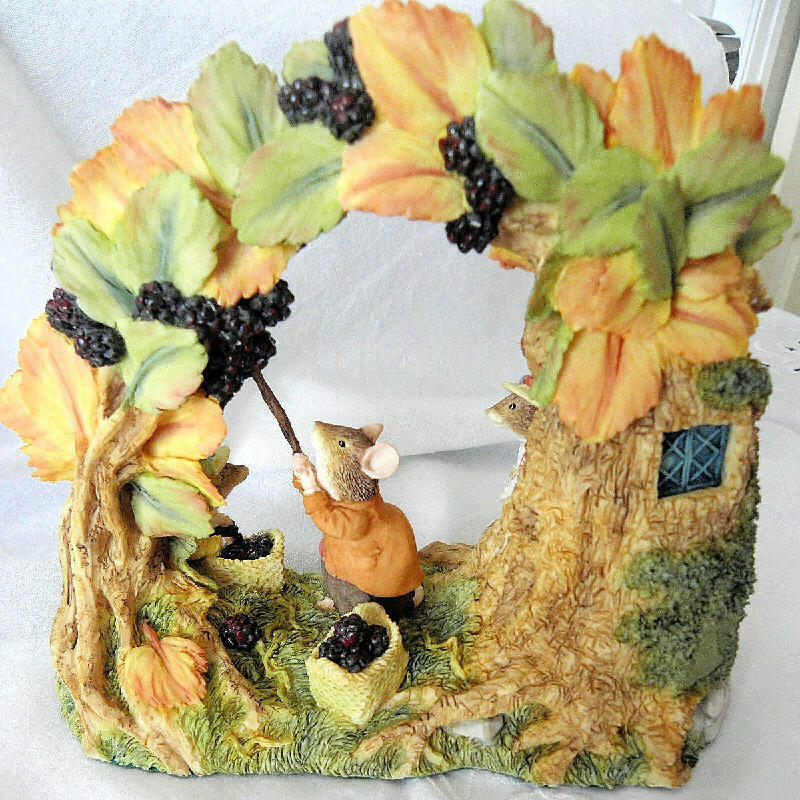 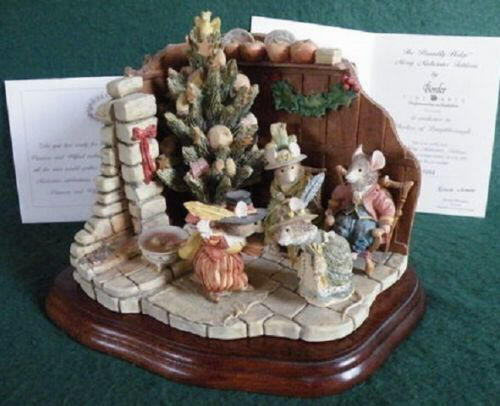 The tableau designed by Richard Wawrzesta and features the mice of Brambly Hedge on their adventure to Sandy Bay. 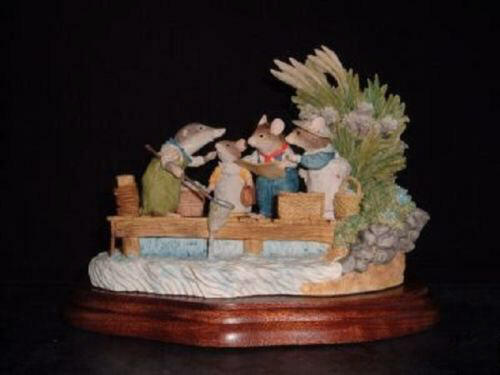 Poppy, Dusty and Primrose are standing on the jetty reading their map while Wilfred plays with his sailing boat. 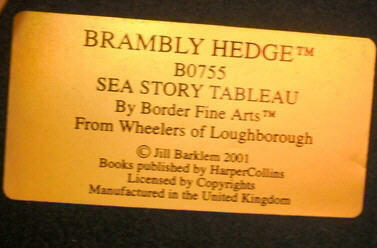 It was made in Scotland by Border Fine Arts and has all the remarkable detail for which this company is renown. 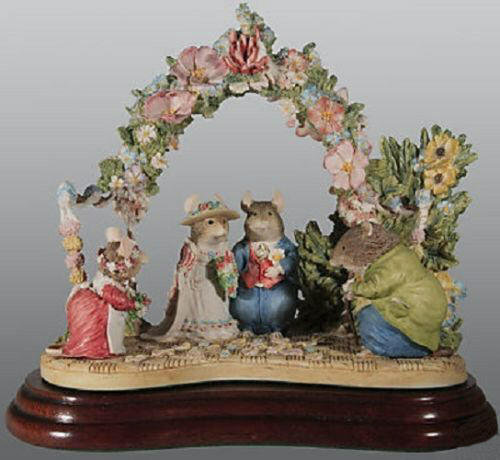 The tableau stands on a wooden plinth and measures 6 inches in height by 7¾ inches in length.